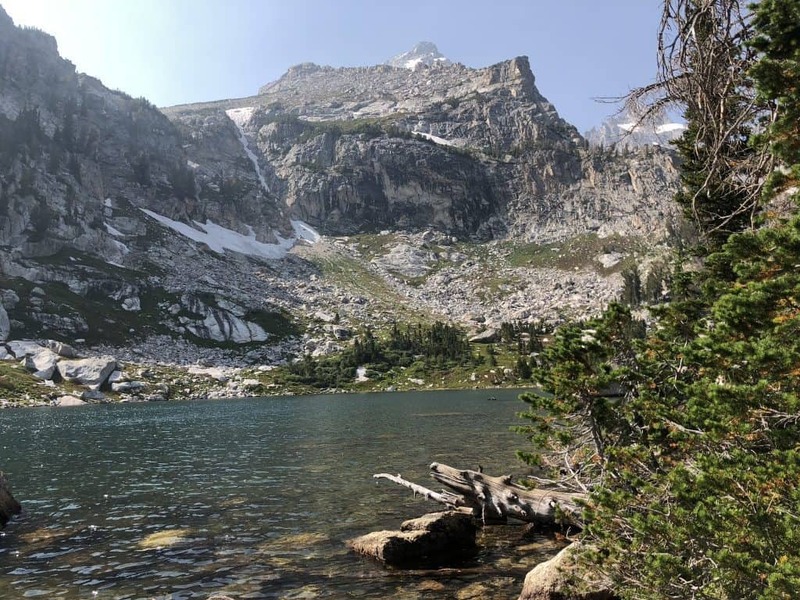 Amphitheater Lake in Grand Teton National Park is a beautiful spot worth the grunt – even when carrying 3 kids! 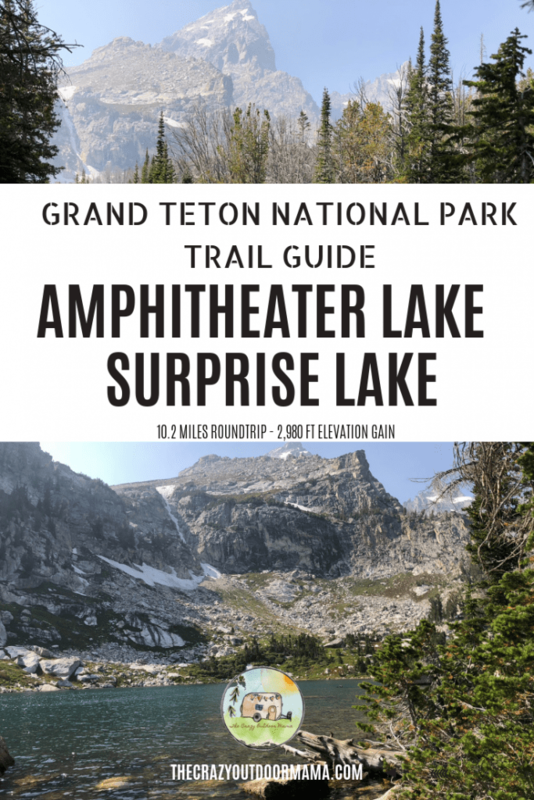 Which trailhead do I start at to reach Amphitheatre Lake? 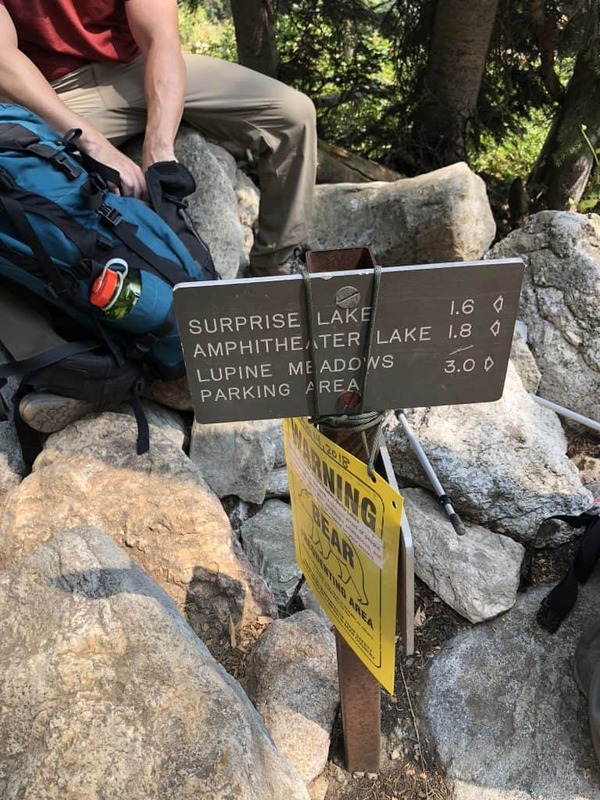 How long is this hike, what is the elevation gain of Amphitheatre Lake? 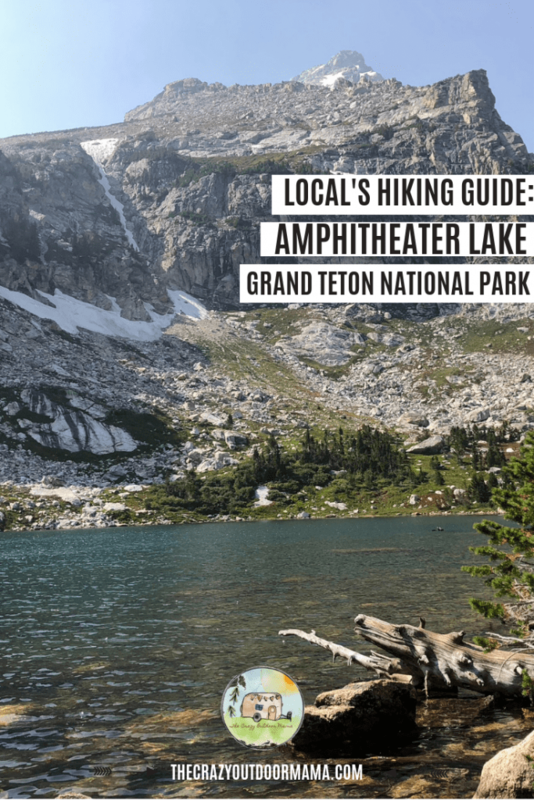 Here’s what a hike to Amphitheatre Lake looks like! A lot of switchbacks + views of Bradley and Taggart Lake! 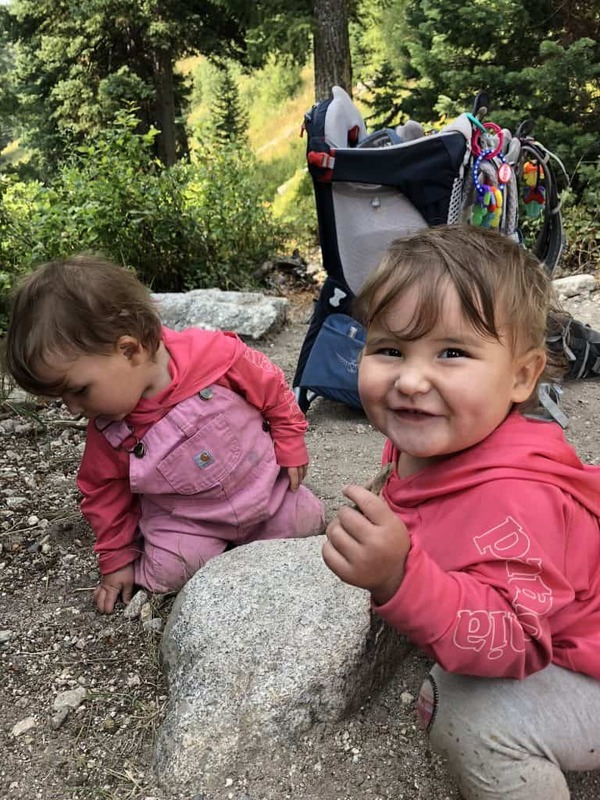 If you’re hiking in Grand Teton National Park with kids check these out too! 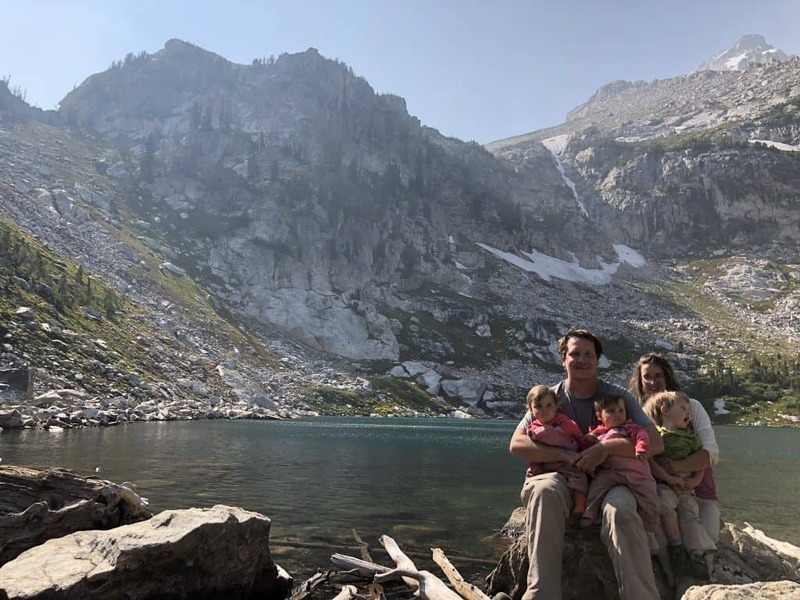 Before any of our kids were born, we were fairly outdoorsy people, so it’s no surprise that when our first child was born, we wanted to hit up Amphitheater Lake in Grand Teton National Park. With my husband carrying our son in a pack, it didn’t feel too difficult (I was just carrying what I normally would!) but it did feel amazing to know that we could STILL do outdoor stuff, even with a baby! Fast forward two years later, and our twins were born. We knew we only had a year to get back to Amphitheater because the year after they would be too insistent on walking and not love the pack as much. 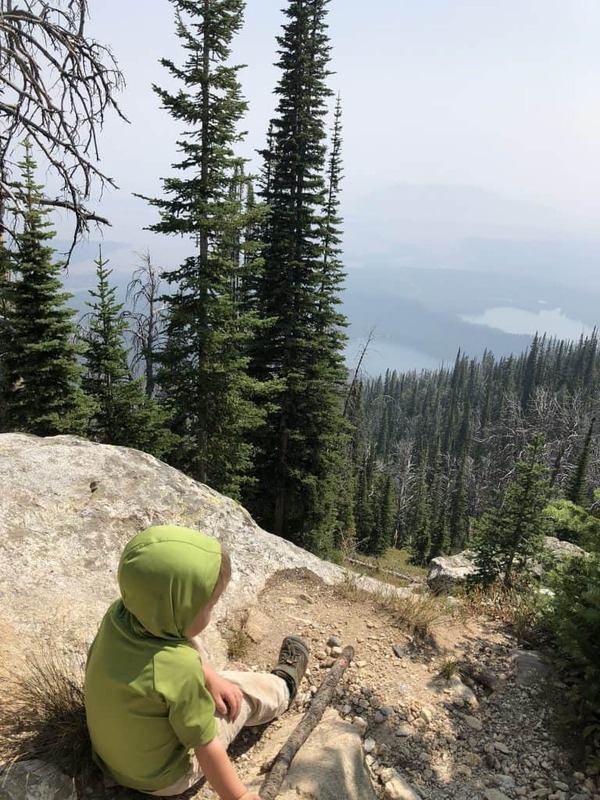 With the hike being a 3k elevation gain, 10 mile round trip hike, it was sort of important to either be old enough to be able to hike (our son was 3 at the time, and he walked alot of it) or be ok with being in a pack! Then the logistics came.. how can two people carry three kids? Our twins were just over a year at that point, and well over 25 pounds each. My son had just turned 3 and weighed 37 pounds! We could count on him to hike for a bit, but DEFINITELY not the whole thing – there’s quite a bit of elevation gain! 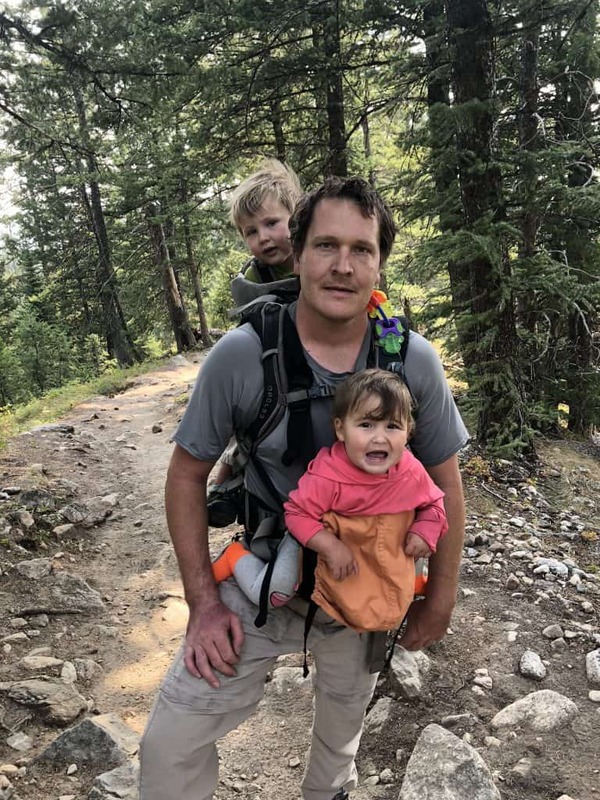 We figured my husband could put my son in a backpack if needed, I’d have a backpack for one twin, and the other twin could be in a front carrier with my husband. Anyways, the hike was difficult but so worth it with the knowledge that we won’t be doing it again with the kids for a while! Here’s a little of what to expect, and how our hike went! P.S. 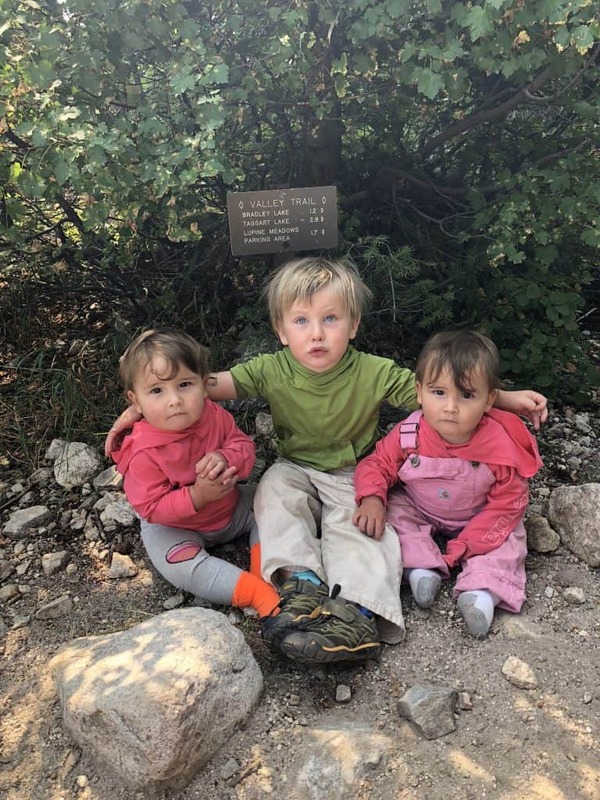 Find out why we are so determined to keep our hiking and adventuring life active with 3 littles – and how you can do it too! My husband being awesome carrying over 60 pounds of kid, plus water and food! Once you’re in Grand Teton National Park, you would start at the Lupine Meadows Trailhead which is about 1.6 miles down a dirt road from the sign. There’s a lot of helpful information regarding milage and elevation here! Unless you arrive early, expect a bit of parking at the Lupine Meadows Trailhead. 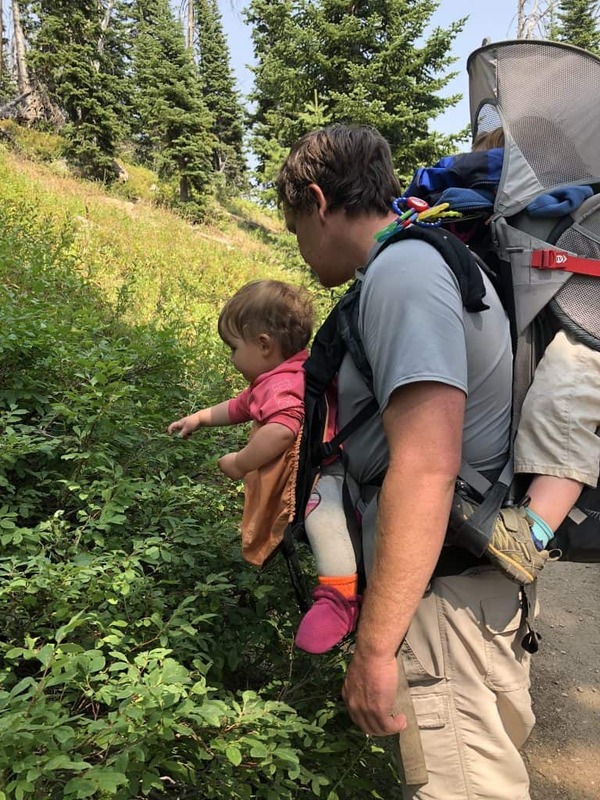 It happens to also be a starting point for those climbing the Grand Teton, and they of course start pretty darn early! But if you’re hiking 10 miles, an additional 0.02 walk through the parking won’t hurt ya! After about 1/3 of a mile, it starts to get steep and doesn’t really stop until you get close to the lakes! 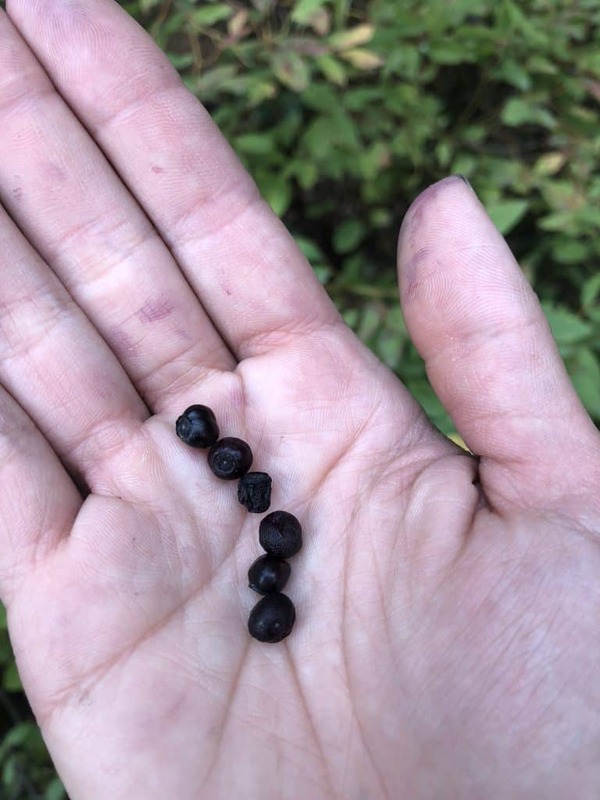 We did this hike late August, and there were huckleberries for DAYYS! I’m talking you could sit in the same spot and get a ton! 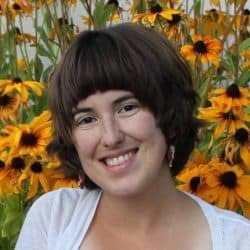 My husband didn’t want me to say this, but if you drive all the way to the park and start this hike, I think you deserve some too! 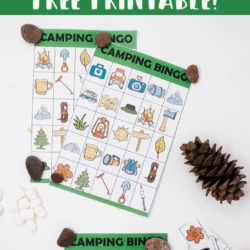 I loved this about this hike because it was a perfect way to give the kids a break as well as keep our toddler busy searching for them as he was hiking! 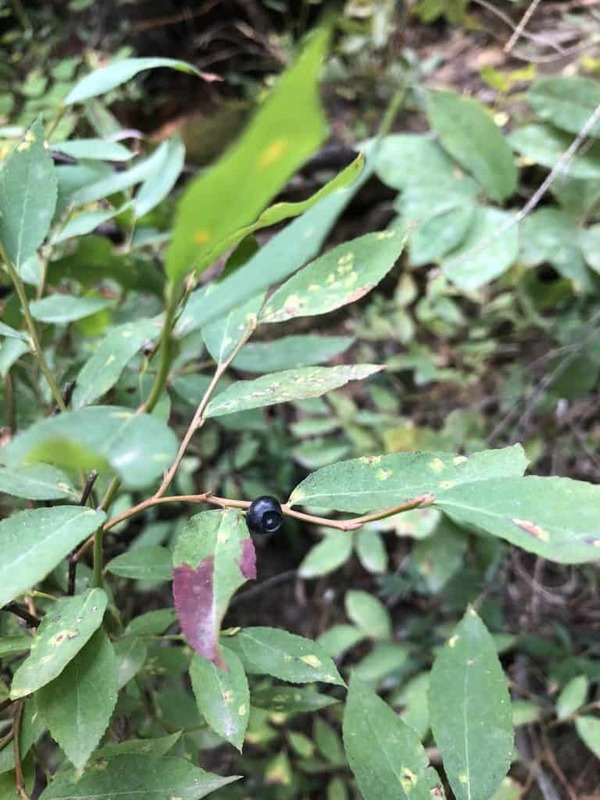 In case you didn’t know what a huckleberry plant looks like! Tiny but mighty in taste! Sis getting some huckleberry pickin’ action while brother snoozes in the back. The 1st trail junction on the Amphitheater Lake Hike! 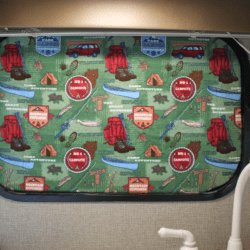 This trail junction also happens to be an awesome spot to let the kids out of the packs to stretch their legs! I want to preface this by saying it’s completely up to you whether or not to trust this water – my husband said he drank it all growing up, so I did. For our kids though, we did bring a UV water purifier just in case something was wrong. This is a great way to not carry as much water! In fact, I highly recommend these UV water purifiers because it seriously lightens your load – just carry one or two water bottles compatible with the device, and fill up at the various lakes and springs you find! 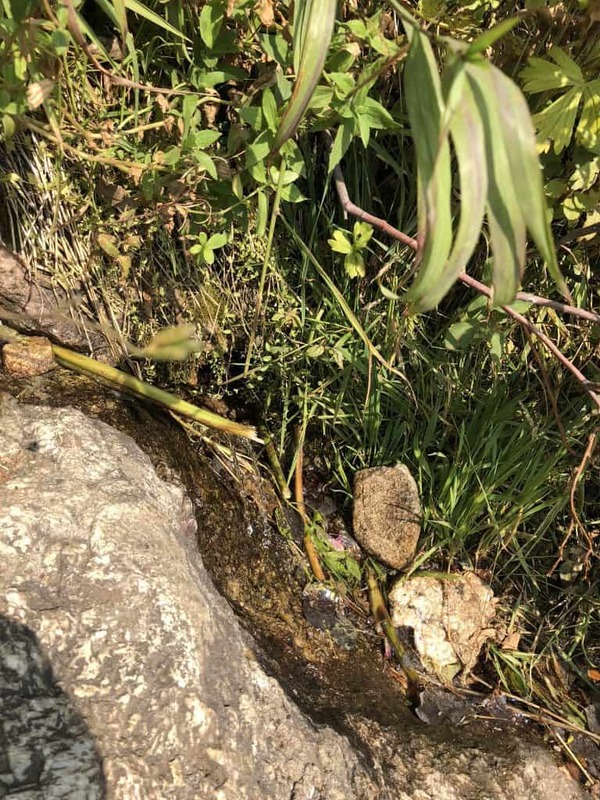 It will be pretty obvious to see because there is almost always water coming out of it, so expect to see a small bit of water running across the trail. People are considerate and there is usually a stem of some sort to make a spout for the water to come through so that it’s WAY easier to fill up your water bottle! This is the BEST tasting water I have ever had! I even refilled my bottle on the way out because it was so good I wanted to drink it later! Use a UV water purifier if you’re nervous though! It felt like these were nevvvverr going to end – around 17 I think! BUT you get to see some amazing sights! Namely, once you’re high enough, Bradley and Taggart Lake. There are a couple good look out spots that make for an amazing picture! One of the couple great views along the way of the lakes! This is about 3.1 miles – just follow signs for Surprise and Amphitheatre Lake! You may find a sign hanging on the junction sign mentioning any bears in the area. When we hiked this, there was a black bear and cub sighting which is fairly common in the area. Make sure to bring bear spray and know how to use it! Keep an eye out for the bear activity sign! This is what I LOVE to see, because it means we’re getting close. Also, I’m sick and tired of switchbacks by this point and there are alot more places for the kids to play without being near the edge of a cliff! There are some pretty sweet photo ops in the open meadow areas to get a picture with the Grand Teton behind you! I wish I had brought a better camera, but it was still pretty darn cool! If you’re going to one lake, you have to go to the other! There is only 1/4 mile between the two, so it’s worth it! This is the first one you’ll see once you get out of the meadows. It’s of course clearly marked, and is wonderful! Check out Surprise Lake along the way! Guys.. these pictures are NOWHERE NEAR the beauty and awe that is Amphitheater Lake. This was a phone pic, and unfortunately, my Gopro was on video the whole time! It is pretty exposed in some spots, so bring sunscreen, a hat, and plenty of water! Snow takes a LONG time to melt off. 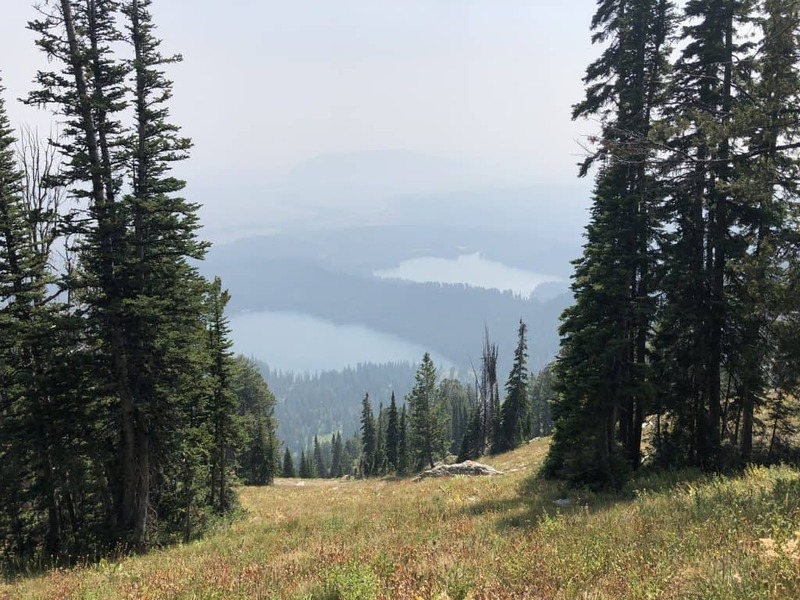 In June, there was still 4 to 5 feet of snow in the meadow area leading to the lakes (which were still frozen) and the trail can be VERY hard to see. Plan accordingly! 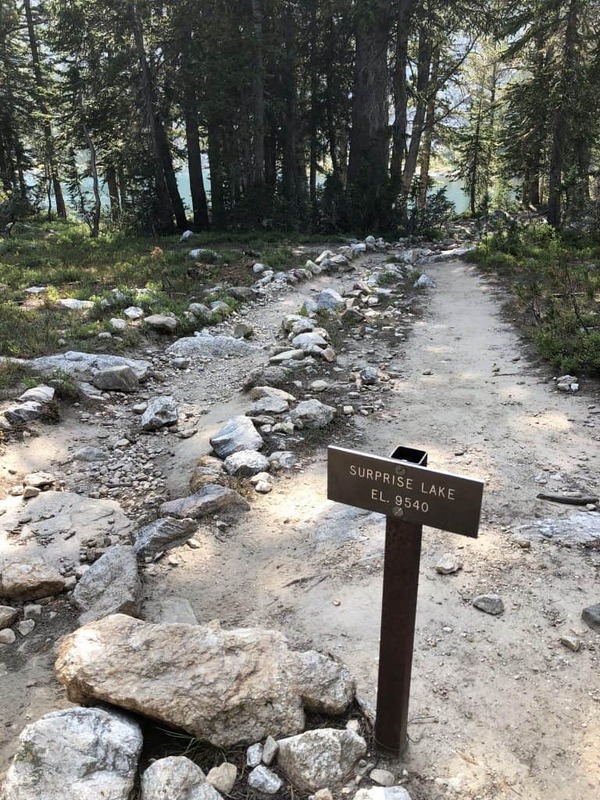 There is another lake along the way, but I won’t recommend it unless you hear from word of mouth – it’s very difficult, not well marked (there’s no trail marker for this lake, not sure if the trail is even maintained) and several hikers have to be resuced from there a year. Black bears are VERY VERY common here, and sometimes get as close as 10 feet to the trail. While they often mind their own business eating huckleberries, you should still have your bear spray and know how to use it! 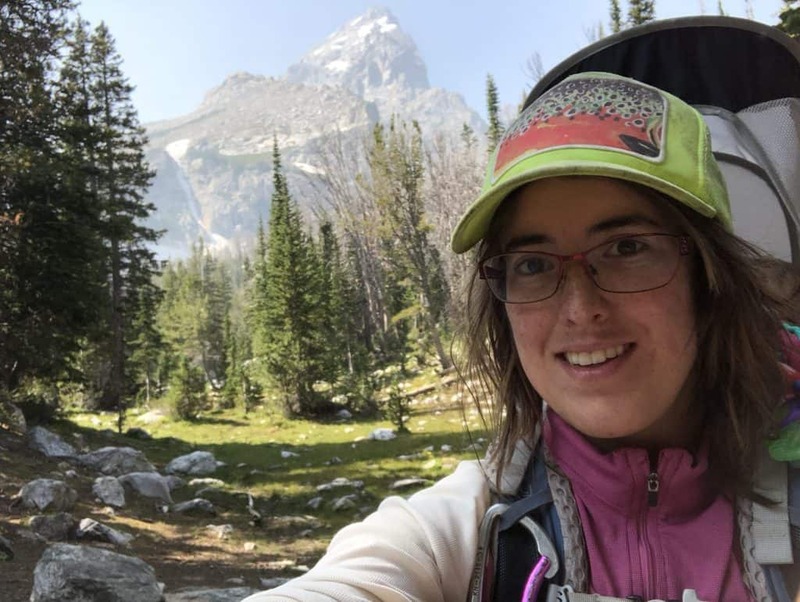 There are some areas of the trail that are fairly rocky, so it may be harder for those who aren’t used to hiking or are older to feel steady. Bring a hiking pole or two if necessary! Check out String Lake for a beautiful picnic area! It’s shallow, warm enough to swim in during summer, and has plenty of “beach” area! If you visit Jackson Hole, check out these list of 15 Fun Things to do in Jackson Hole! It’s family friendly and super fun!